Photosynthesis is how plants 'make their food' and feed the rest of the planet. The key ingredient in that recipe is carbon. So, the process captures energy from the sun, which is then used to tear away carbon from atmospheric CO2. But the journey from sunlight to feeding the planet is not a straight line. It's more of a series of routes and detours that lead to the finish line. The reason is that things can go wrong. Light quality changes, or it gets too dry, or too cold. These changes can slow down or damage photosynthesis. So, plants have backups to work around these situations. 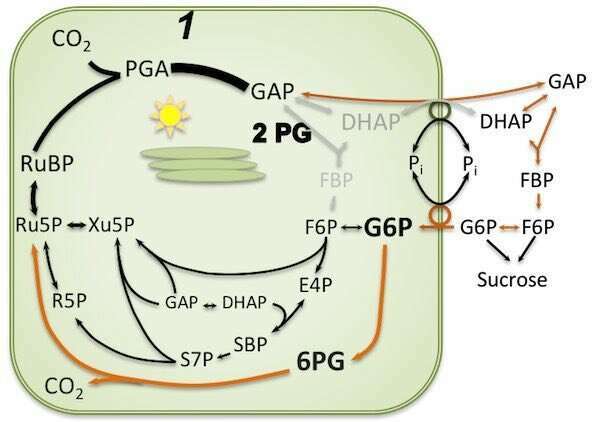 Scientists want to know these ins and outs of in order to improve photosynthesis. The big picture goal is to create plants with better yields in order to feed our rapidly growing population. "The Calvin-Benson cycle has built-in backups to quickly restart the process whenever it slows down," says Tom Sharkey, University Distinguished Professor at the PRL. "The best way is a shunt, a series of side reactions that keeps a low flow of carbon products in the cycle. That makes sure the cycle restarts as fast as possible." Now, the Sharkey lab, using plants that can't clean up compounds made by oxygenation, sheds more light on how the shunt works and how it needs extra photosynthetic energy to function. 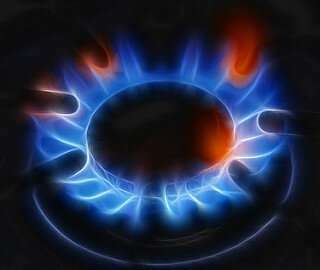 "The pilot light could seem to be a waste of gas," Tom says. "But it serves an important function by keeping the system ready to come on fully very rapidly, without the user having to find a match to light the flame." Tom and two other labs at the PRL, Kramer and Hu, screened for mutant plants with defects in cleaning compounds mixed with oxygen. One mutant had a flaw at one of the special cleaning sites, the peroxisome. "The shunt's increased activity requires extra energy," Tom says. "Photosynthesis compensates by cranking up production (of ATP) in order to feed the shunt and drive the Calvin-Benson cycle." "In healthy plants, the Calvin-Benson cycle only works when there is light," Tom says. "But in nature, there can be wide changes, like moving clouds, that make light flicker on and off. In those situations, it is easy to collapse the Calvin-Benson cycle. We think the shunt plays a role in restarting it." "Nowadays, electronics have made the pilot light obsolete," Tom adds. "Similarly, once we fully understand the shunt, maybe we will be able to replace it with a more efficient system." Tom concludes, "We're lucky at the PRL. This project wouldn't have happened if the other PRL labs hadn't asked me questions about the Calvin-Benson cycle. It is unusual to have so many people, specializing in different parts of photosynthesis, working together under one roof. We can get out of our comfort zones, talk, and collaborate on research projects that otherwise don't come up."